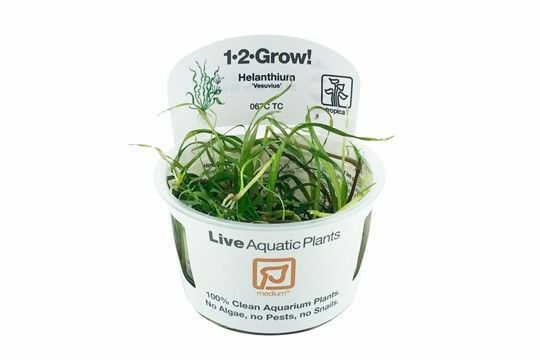 Home › Tropica 1-2-Grow! Helanthium Vesuvius 螺旋皇冠. 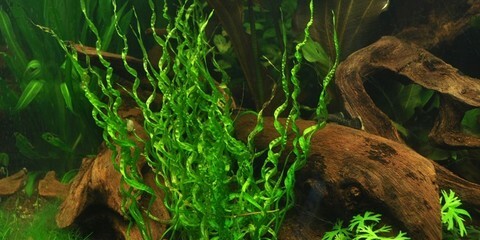 Tropica 1-2-Grow! Helanthium Vesuvius 螺旋皇冠. 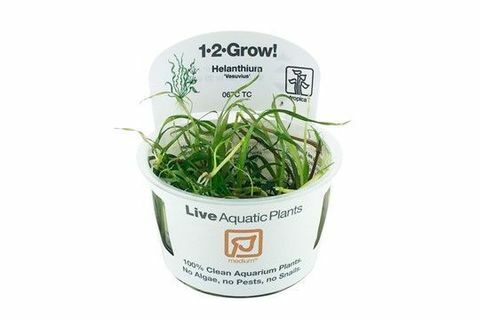 Helanthium 'Vesuvius' (previously called Echinodorus 'Vesuvius') is a cultured species based on Helanthium angustifolia from Oriental Aquarium Plants. The narrow and twisted green leaves makes it an unusual addition to the Helanthium family. The rosette species grows vigorously with many medium length and narrow leaves (10-20 cm tall), and is highly decorative as a solitary plant (rosette 10-15 cm wide). 'Vesuvius' spreads readily with runners. An easy and undemanding plant that requires medium to high light conditions.